Donald Wood from Ring Rust Radio and Bleacher Report had WWE Hall of Famer BOOKER T on the show recently, and it was a great episode with plenty of exclusive content. Ring Rust Radio: Starting in September, Reality of Wrestling will begin airing its weekly show on the FITE TV streaming service. As the founder of ROW, how big is this deal for the long-term future of the company? Booker T: Aw man, it’s huge to actually have a platform and let the world see Reality of Wrestling as well as to be able to compete with all the other independent companies around the world. You’re only going to get better if you’re actually competing. It’s almost like the Monday Night Wars for me all over again. That’s the kind of feeling I get with Reality of Wrestling. My thing is we have a lot of young guys and I probably have the youngest roster in professional wrestling as far as our company goes. For me to actually let my guys get out there and show how good they really are is what’s important. For me, when I went to WWE, I wanted to compete with the best wrestlers out there and now Reality of Wrestling is going to be able to compete with the best indie wrestlers around the world and I’m really excited and looking forward to it. Ring Rust Radio: As part of Christmas Chaos this year, Reality of Wrestling created a buzz by bringing in Jason David Frank, known as the Green Ranger from Mighty Morphin Power Rangers. How do you think the fans attending live and watching on pay-per-view will react to Frank? Booker T: You know it’s something different. Wrestlers, especially with WWE, the stars always want to be a part of what’s going on. Christmas Chaos is our biggest event of the year and to have the Green Ranger Jason coming in to be a part of it and we don’t even know really what capacity he is going to be playing. But just to have him be a part of the Reality of Wrestling roster for one night is awesome. My son who is seven years old and he can’t wait to see the Green Ranger. Our Facebook page pretty much crashed when people found out that he was going to be there. For us it’s going to be big and he is just the first guest that we’ve announced for Christmas Chaos. There’s going to be more guest to come and it’s going to be an awesome show. I am looking forward to seeing the dream match on Christmas Chaos as well as the stars of Reality of Wrestling going out there and giving 100 percent entertainment. Ring Rust Radio: Last year, you announced that you would be running for Mayor of Houston in the 2019 election. How are you preparing for a transition into politics and how do you think your story of overcoming adversity on the streets of Houston will help you connect with voters? Booker T: I relate with the majority of the voters, I think. Everybody is not born with a silver spoon in their mouth. There are only a very small percentage of those types of people, you know what I mean? I think I relate with more than a few. I’m talking to the young people here in the city of Houston, the millennials, the ones that feel left out. The ones that feel like older people think they’re part of the problem as opposed to being part of the solution. I’m one of the guys that say respect your elders, but we are in a time now with social media is such a huge thing and we have to know how to respect our young people and bring them in the fold. We have to let them be a part of the process and not be the silent majority. I think that’s going to propel me to City Hall more than anything. Just knowing what young people want. I walked in a lot of those shoes and they know that. I want to give them hope and inspiration to be bigger and better than they ever thought they could be and I think that’s why I will win. Ring Rust Radio: Over the course of your career, you’ve enjoyed a ton of success both as a singles wrestler and as a tag team wrestler with your brother Stevie Ray. Looking back at your career, what phase of it have you enjoyed most between being on your own and being part of Harlem Heat? Booker T: It’s hard to differentiate between the two actually. They all pretty much just lump together, every phase of my career. It was always about the entertainment and always about taking the role and no matter what the role was, making that role something special, making it bigger and better than anyone to have expectations to the match. That’s what my specialties always been in the wrestling business. Going out there and making my opponent look better than he can make himself look. It’s always about the entertainment and the show at the end of the day. Going out there and giving those fans that ultimate sense of entertainment so when they walk away they go, “Man I can’t wait to go back and watch Booker T do his thing again.” That’s where my head was the whole time. It was always about the entertainment. Ring Rust Radio: As a six-time world champion, you have squared off against some of the best wrestlers in the world. Which Superstar stands out to you as your biggest rival and who would you square off against if you had one more dream match? Booker T: Booker T vs. Shawn Michaels in our prime, not now of course. He’s still looking real good, but even in our prime, I think Shawn Michaels and I could’ve went out and created some magic between us. He’s the one guy I never really got a chance to get in the ring and perform with. There’s been so many rivals, most of them Canadian guys like Rick Martel, Christian and Chris Benoit. Those guys were all ultimate professionals, every one of them. They went out and worked under the same roof for so many years with the same tenacity and they went out and performed just tirelessly. I was one of those guys. I felt like I went through that same school, but the Canadian guys were pretty much my all-time rivals in the business. 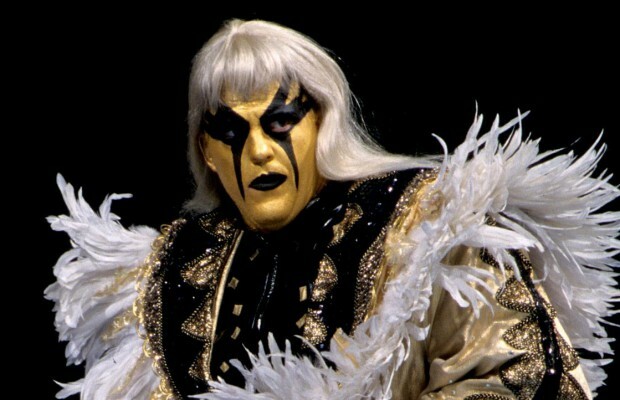 Ring Rust Radio: In 2013, you were inducted into the WWE Hall of Fame. What did that achievement mean to you and how did it feel to be inducted alongside legends like Mick Foley, Bruno Sammartino and Trish Stratus? 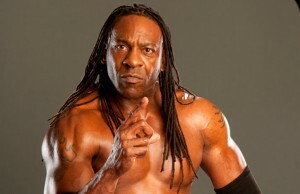 Booker T: That’s one of those days where you can look back and say I did it. For me to thank the fans for that ride that always supported me and raising the roof for me back in the day in WCW. My wife being there and supporting me. Making the drive for me so many nights after the shows when I was so tired and beat up to make it to the next town myself. I think that was the biggest part more than anything. Just to thank everybody who was a part of my success along the ride, I think that was truly for me what it was all about. Many of us that didn’t make it to the finish line and didn’t get a chance to thank the fans for that ride. I just wanted to make sure I did that right because so many of us didn’t get the chance to do that. Ring Rust Radio: You are one of the few major Superstars who have made the successful transition from in-ring worker to the commentary team. What was the transition like and how much do you enjoy calling the action? Booker T: Man, I love it. I love having the best seat in the house and watching the young guys go out there and do their thing. It’s their time now and I embrace it. I push them to go as far as they can go and do much more than Booker T did. I love making the transition and changing my levels and being able to still be around what I love more than anything. Then to try and figure out the nuances of that game as well. Just being a commentator is not as easy as people think with going out there and talking for three hours. So, I don’t call myself a commentator, I call myself an analyst. I know my role and I go out there and try and have fun with it every week because you just never know when it’s going to be the last time. So, for me, making that transition and doing a job that I never imagined or dreamt of doing was surreal. I don’t have any broadcast experience or anything like that, but I used to play around doing commentary in the back. One day they said, “Hey Book, you want to try this out?” So, I went out and tried it. The thing is you never know what you can do until you try it. Even if you try, you still may fail but that’s when you have to go and prepare because if you’re not prepared, you’re preparing to fail. That’s my advice to the young people is just prepare.